EACH SEASON, TV pundits sit and chin-stroke over another failed Arsenal title challenge. It has been happening for the past 13 years and the script is familiar beyond belief. Certainly for the last five years, Arsenal have been pursuing what Albert Einstein warned us about a long time ago: “Insanity: Doing the same thing over and over again and expecting different results”. Every year, Arsenal look to have the tools to challenge for the title, despite the stubbornness of their manager and a reluctance to address a problem that has existed at the Emirates since the last decent striker, Robin van Persie, departed for Manchester United: the acquisition of a top quality forward. After their 3-1 defeat at Stamford Bridge, a game in which Arsenal capitulated rather tamely after a promising opening, the Gunners title hopes were all but extinguished. Just a fortnight ago, Arsene Wenger was talking about having better firepower than the 2003-04 “Invincibles”. He may have overlooked that his last great team possessed people like Thierry Henry rather than Danny Welbeck. Now, after losing at home to Watford and at Chelsea, people are talking about the current Arsenal selection as being a poor team. They’re far from being poor, but they are certainly less equipped to win a major honour than some of their predecessors. The placards are coming out again, the messages of dwindling support growing once more. Gary Neville called one unhappy fan “an idiot” for asking Wenger to go. Neville, for all is tactical awareness and forthright views, is completely wrong to deny a supporter his opinion. Within the game, Wenger’s record commands respect, but everyone has their shelf life and it is increasingly looking like Arsenal and Arsene may be coming to the end of their association. The fact is, when it matters, Arsenal fall short of, to use a Wengeresque comment, “the required quality”. The Gunners have not won away at a top six club in 22 games. Wenger’s contract comes to an end in the summer, but no longer should it be about whether he decides to stay, it really should be a question for the Arsenal board. With Wenger now 67 years of age, it must surely be in the club’s best interest to move him on or at least give him an easy way out. Arsenal have to decide if it is time for a new approach that might be more dynamic and, ultimately, less predictable, or whether they continue with the same old story. It now appears very unlikely that Arsenal will win the title again under the current regime. Wenger may decide he has another challenge left in him, but that is not necessarily at Arsenal – he’s been doing the same thing for so long and it gets the club UEFA Champions League football every year. They’ve got almost annual opponents Bayern Munich coming up in the last 16 and that’s invariably where it usually ends. Arsenal can afford to acquire virtually any manager they choose. The club is ranked the seventh richest in the world, wealthier than Chelsea, Liverpool and Juventus and not far behind the likes of Paris St. Germain. It is also one that has never leveraged its commercial potential or speculated enough in the transfer market. 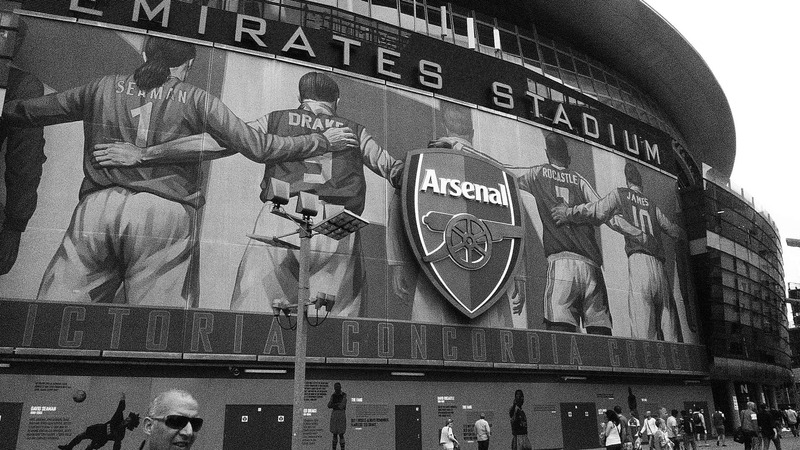 There’s an air of conservatism about Arsenal that is both admirable and annoying. Wenger has carried that same torch when it comes to player transfers, but the club is perpetually under-achieving for an institution of its size and stature. Arsenal are one of only two teams from football’s richest 10 (Deloitte Football Money League 2017) not to have won their domestic league title in the past decade. Liverpool is the other club. Arsenal’s only silverware since their memorable 2003-04 success has been two FA Cup victories. That record compares badly to Manchester United’s five titles, one FA Cup and one Champions League, and the hauls of Barcelona (14), Bayern Munich (12) and Chelsea (8). Wenger’s record, overall, is an exceptional one, but Arsenal have been stagnating for a decade. The occasional grumblings about the methods of the Frenchman have gathered momentum and the fact that the “Wenger out” chorus comes out each season at some point tells you that in-house all is not well. Due respect has to be paid, from the club’s offices, from those highly-priced, padded stadium seats, and from the media, to a man who brought so much invention to the English domestic league. Then a suitable finale has to be achieved on the pitch to ensure Wenger can bow out with dignity and with reputation intact. There should be no shabby end to this story but equally, Wenger should not be allowed to slowly erode his legacy to the point where people forget the good times.